I am planning on replacing my second car, a Saturn Aura over the next year. My main vehicle is a Lexus RX350 and quite frankly, it has spoiled us. One piece of equipment that is difficult to find is power passenger lumbar support. Many cars offer driver side power lumbar, not so many offer passenger. If it is offered, it is usually a high-trim option. I am aware that I can get this in the Chevy Equinox, GMC Terrain and Cadillac SRX. My question is are there any other SUVs in this segment that also offer dual side lumbar? You would think that auto manufacturers could capitalize on the aging Boomer market by touting this convenience. I will not consider anything with a turbo or CVT, I am too old-school for that stuff. If you know of other SUVs that offer dual side lumbar, I appreciate hearing about it. It's like looking for a needle in a haystack! Used 2017 Buick Envision Essence for sale at Hennessy Lexus of Atlanta in Atlanta, GA for $21,490. View now on Cars.com. Aside from luxury models like RX or SRX you would have to go a old older sedan or wagon for the lumbar feature and no turbocharged engine as most everyone has already gone that engine direction. Especially if you have hills to climb have to drive in higher elevations where the air is thinner. But when the driving is flat turno-4's easily see 30+ mpg with AWD. My favorite version is the Envision Premium l 2.0T with Twin Active Clutch AWD that torque vectors power to the outside, rear wheel. It is more expensive on paper at $45K but also offers more features like power lift gate, cross traffic alert, all outboard seats heated along with steering wheel to name a few. 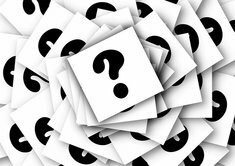 But with normal discounts of $10,000 or $15,000 through 2017, $30,000 is not uncommon. That is less than the economy cuv's at $33,000-35,000 like the CR-V, Rav4, CX-5, and Forester XT all which don't match 4 years and 50,000 miles. The Envision eclipse every vehcile mentioned in head room at almost 40 inches, 3rd place in legroom, and about 10 more feet of cargo than the Stelvio . Oh and the rear seat is 60/40 split and slides. Which is perfect for our dogs in the back seat if we have to brake hard. Motor Trend has the Envision 2.0T about a half second behind the Stelvio in the figure-8 test with slightly better braking from 60 to a stop. Consumer Reports has the Envision about half of second slower in the 1/4 mile time but it brakes shorter from 60 mph and has a faster Emergency Lane Change test at 55.5 vs 53.5 mph. 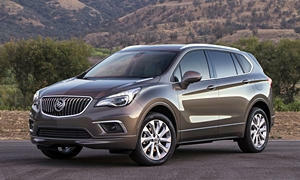 Our Envision 2.0T is coming up on 12,000 miles and sees 32 mpg at 65 mph or 30 mpg loaded. Power lubar support for passenger seats are usually found in luxury brands only. The cheapest Equinox you can get passenger lumbar support in is the 2017 Premier with an option package. This brings the MSRP to a minimum of $33k before incentives. I'd get an optioned used 2016 Buick Envision for that price. I don't know why you wouldn't want a turbo 4 engine aside from the extra maintenace later on. They usually have an MPG benefit compared to a V6 and a lower torque curve, which lowers engine noise and improves city driving. With the Envision, you can get a slow 2.5L 4 cylinder or a 2.0T. The Acura RDX has the power passenger lumbar support if you opt for the tech package. Honda seats are some of the most comfortable seats available. I like the front/rear seats in the 2018 Accord more than any Mercedes, Audi, Buick, or BMW I've sat in. They have a traditional V6 without a turbo or CVT. 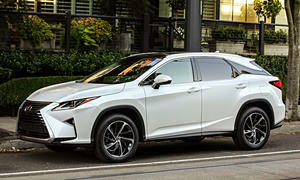 Or you could get another Lexus RX. These, as you have found out, are super comfortable and premium. They are more reliable than any other luxury SUV. Only engine option is a V6 without a turbo. A hybrid is also available. 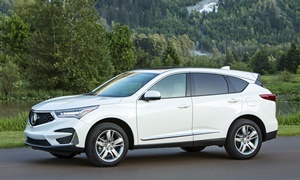 A bit of a correction to Lectrofuel's response: the current Acura RDX isn't not available with a passenger lumbar adjustment. The 2019, which will be much improved, probably will be. But it won't be $22,000. If you go to the Model Search part of the site you can quickly find out which models are offered with a passenger seat lumbar adjuster (though some of these could be manual). Thanks to all who responded. I appreciate the suggestions. It looks like I'll be driving the Aura a bit longer while I do more research. We use aftermarket lumbar cushions in that car and they work well. Not pretty, but functional. That would open up the choices quite a bit. Anyway, Thanks again! Edmunds said the RDX had a power passenger lumbar adjustable seat, but after looking elsewhere, it only says an 8-way passenger seat. Just to close the circle on this topic, I gave up on the passenger lumbar. After searching and test-driving a number of vehicles, we decided that a 2014 Terrain in SLT-2 trim was the best vehicle meeting our needs for the money. Quiet, with comfortable seats (even without passenger lumbar) and a nice array of offerings, the 3.6 V6 won out over other cars. I particularly like the ride with the lonnnnggg wheelbase on this vehicle. I overnighted a 2015 CX-5 Grand Touring and the noise, lack of accceleration and rough ride killed any aspirations I had about that being a decent choice. In the end most car purchases are compromises. 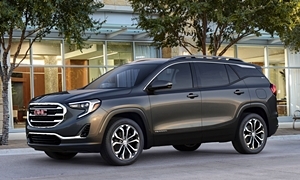 Great choice and during the lease of our 2015 Terrain SLT-2 AWD my wife said it was her most favorite car she has ever had including her cappy Subaru's. The long wheel base of the Terrain and Active Noise Cancelation made our 6,000 mile out west and back a breeze. I hate noise fatigue when in the saddle for +10 hours and the Terrain doesn't disappoint. Keep an eye on oil levels through a full oil life as earlier models had a tenancy to consume it. Our 2015 didn't burn a drop spininng the motor to 5,200 rpms for miles on end up the Rockies. They burn it or they don't. The other thing if you live in a winter climate where they use road salt is a rust bubble under the paint around thr license plate. Post up in the owner review section your thoughts on the car. 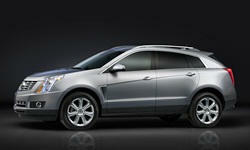 Definitely true that the Terrain rides better than any of its less lengthy competitors. Both Equinox and Terrain were top rated in the past. Having put almost 50,000 miles on one I can attest that they are good, comfortable transportation. Good choice! I agree with you on the first gen CX-5. That car was uncomfortable (especially compared to the GMC). The new ones are much more refined. 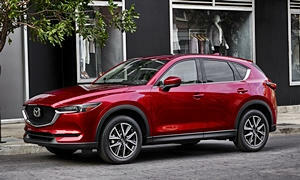 And that CX-5 is faster than the new one too.